I am a problem-solver, passionate about creating innovative solutions to address pressing global challenges. 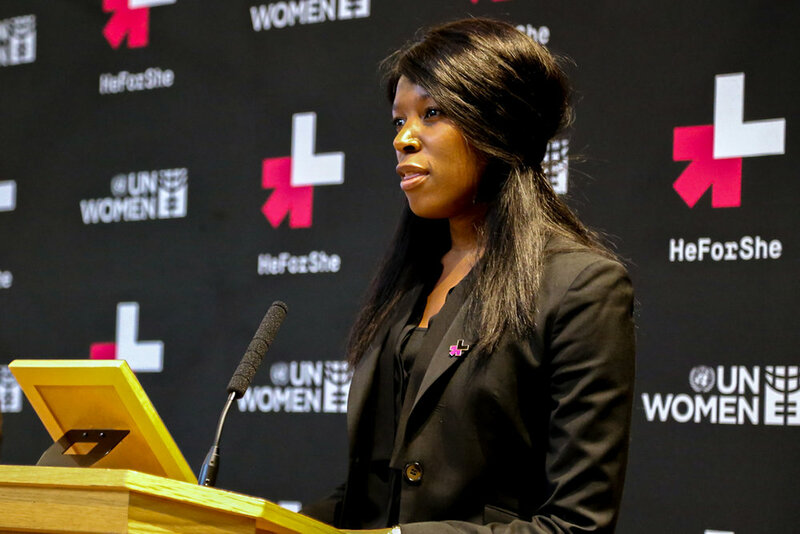 Most people call me a humanitarian or activist—officially, I am the senior advisor to Phumzile Mlambo-Ngcuka, the Under-Secretary-General and Executive Director UN Women. 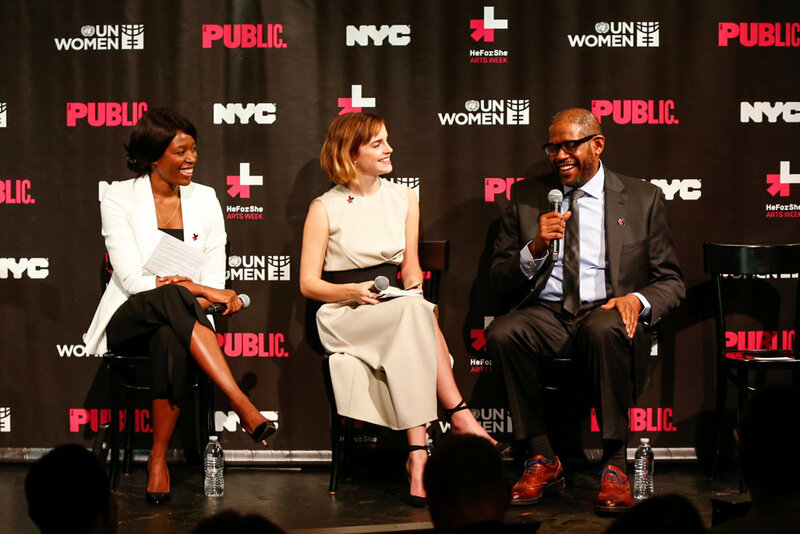 Creating tangible and scalable solutions for gender equality as part of the HeForShe movement, which I launched in 2014 with the support of the UN Women’s Global Goodwill Ambassador, Emma Watson. Tell us a little bit about your childhood and how it inspired you to get into humanitarian work. I am living proof that the United Nations not only makes a difference around the world but also saves lives. The United Nations saved my life when I was eight, and I didn’t realize at the time that one day this very same moment would shape the way I see the world and my place in it. Briefly outline your career path up to this point. I have worked at the forefront of the global development agenda for almost two decades in both the public and private sector, and previously I’ve held positions with UNAIDS, the World Health Organization and the World Bank. Prior to UN Women, I was Director of External Affairs & Policy, Africa and part of the Corporate Strategy Office at Merck. How did you come to focus on women’s and feminist issues? I have focused on addressing inequalities since I began my career and observed the cross-cutting nature of gender equality. For example, during my time with UNAIDS, I witnessed women experiencing high levels of discrimination, including greater difficulty accessing services. Tell us about the genesis of the HeForShe movement. Where did the idea come from? HeForShe came into being through a personal conviction that as long as the pursuit of gender equality remains a struggle between women and men, no one wins. Rather, a whole-of-society issue such as gender equality requires a whole-of-society response. It is a new paradigm, but it is a better paradigm. This became the vision to create HeForShe, a global solidarity movement for gender equality. What is it like to work with Emma Watson? Inspiring! She is super-smart and kind. One day she will change the world. Why has her role been so instrumental? Emma’s passion for equality is incredibly authentic, which naturally resonates with everyone. What does your day-to-day look like? What takes most of your attention? There are two core aspects to my role. First and foremost are my senior advisor responsibilities to the Under-Secretary-General and Executive Director, UN Women, which entails providing strategic guidance on organizational priorities. Secondly, as the global head of HeForShe, I am responsible for leading the strategic vision and daily execution of the movement. How can we have men become a bigger part of the conversation around gender equality in general? What difference would their greater involvement make? Men must be engaged, because gender equality is their issue too. To quote Edmund Burke, “The only thing necessary for the triumph of evil is for good men to do nothing.” As an impatient optimist, I believe that there are a lot more good men in the world than not, and when they stand up for what is right, the whole world grows. I first became aware of the United Nations at the age of eight, when they saved my life when severe drought hit my small village in Zimbabwe. That encounter left such an indelible mark on my young brain, and immediately I knew that I wanted to pursue a humanitarian career with the United Nations. Now, having worked for the UN for more than 15 years, this is definitely my proudest achievement. In my early 20s, I landed at Heathrow Airport in London with £250 to my name and no friends or family in the United Kingdom. But I had still had my dream to work for the United Nations, which did seem at the time a rather lofty goal. However, four years later, I joined the United Nations. Africa has such enormous potential, and I feel a personal responsibility to give back to my continent and be part of Africa’s solution. As a political scientist, I see myself back on the continent in a leadership position where I’m able to make a substantive impact. Definitely gender equality, which currently impacts half of the world’s population, women and girls, and the achievement of which will benefit all of society. I have Sam Smith’s “Pray” on auto repeat. It’s so poignant for our current times. Recharging at home with my husband, who is my rock and the original HeForShe. “Being a leader doesn’t mean being in front, it means removing obstacles so others can lead, ” by Phumzile Mlambo-Ngcuka, Executive director U.N. Women. “No one is equal until we are all equal." This is the fundamental belief at the core of HeForShe. Despite being the youngest entity of the United Nations, UN Women has been able to place gender equality at the heart of the global development agenda, galvanizing social movements such as HeForShe towards its realization. Who is a woman of empowerment in your life who inspires you? Definitely my boss, Phumzile Mlambo-Ngcuka, the Under-Secretary-General and Executive Director of UN Women. She was at the forefront of the anti-apartheid movement alongside Mandela and later became the first female Deputy-President of South Africa. So she is definitely one of my biggest role models. I believe that our potential should not be limited by where we are born or our dreams diminished by our circumstances. This is the world I am working to create through my work with the United Nations, which hopefully, in turn, inspires other young girls to dream bigger.